One of the most common “easier said than done” scenarios that I’m sure many of us face on a regular, if not daily, basis is that of simple communication. It’s almost funny to think how often it happens that we find ourselves in a situation where we have a clear message in mind, and when the time comes to express that thought, we draw a complete blank or, worse yet, say the wrong thing entirely. Even with the best of intentions in mind, poor execution can ruin the communication chain entirely. A key piece of advice to keep in mind is this: It’s not always what we say, but how we say it. To that end, and especially in the professional world, one of the most common communications errors is formality abuse. 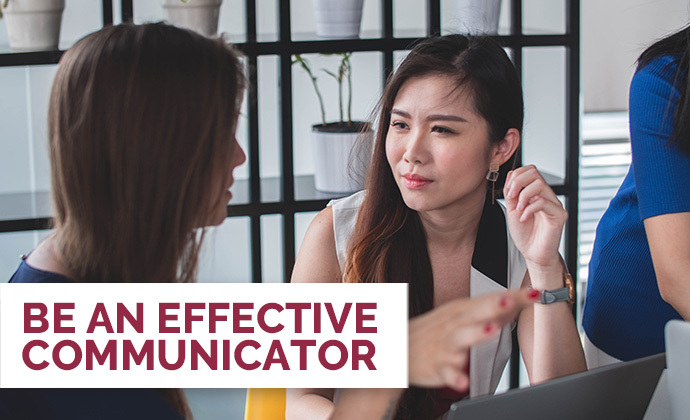 It’s easy to find oneself in the mindset of needing to impress with every business-related communication, packed full of overelaborate language wherever and however possible, even if not strictly necessary. The great danger here is the “razzle-dazzle effect”: if communication becomes overdressed in this fashion, it’s all too easy for the meat of the message to become lost in the tangle. The more complex or elaborate something becomes, the greater chance that something will go wrong. Worse yet is when we ourselves might not even know what we’re trying to say. There’s a message in mind, some point that we know has to be brought across either to a client or co-worker, but the words just aren’t there. This is frightening when it happens, and we have the concern that we’ll come away looking foolish to a colleague. But it also represents a much larger, underlying problem: How can we say what we need to, if we don’t know exactly what it is we’re trying to say in the first place? It can become a dangerous, self-perpetuating cycle if not recognized and resolved as soon as possible. Bridge the gap by ensuring your message is clear to you, your recipient and anyone who may hear it before it is delivered. I’ve found that, more often than not, simplicity is best. Being concise is by no means the same as being rude. Having a clear message in mind and keeping delivery effective and to the point prevents a tangle of confusing, or even conflicting, interpretations in the long run. In this way, communication is truly more than just the sum of its parts.